Multi-Factor Authentication balances strong security for your business with high convenience for your users. The solution from CensorNet is adaptive, real-time, challenge-based and session-specific. It takes advantage of contextual information when validating the user, thereby protecting against identity theft and modern Internet threats. CensorNet Multi-Factor Authentication leverages the one thing users always carry with them – their mobile phone. It has an advantage over traditional two-factor authentication solutions which as the term suggests are simply based on two factors; something you know (username and password), and something you have (a one-time passcode). The CensorNet solution looks at multiple factors surrounding each particular login. These factors include things such as session ID, network IP and geo-location, number of successful logins, type of system being accessed, time of login, and device being used. All of these factors add context that help determine the level of trust and whether the user should be authenticated or blocked. CensorNet Multi-factor Authentication was previously known as SMS PASSCODE. Easily set up highly sophisticated failover mechanisms to ensure that the OTPs always arrive. The solution can even adapt between delivery methods based on the login context of the user, e.g. the location. The solution can be configured to dynamically change the level of authentication needed based on a range of factors (where, when, what network, trusted locations, failed attempts). CensorNet provides unique status feedback that enables the user to follow the login progress. Status feedback inspires user confidence and reduces the number of helpdesk calls. Make innovative use of letter combinations to provide users with easy-to-read passcodes, helping support the smooth intuitive login process of CensorNet Multi-Factor Authentication. What makes CensorNet Multi-Factor Authentication more secure? Unlike solutions relying on pre-issued passcodes, CensorNet Multi-Factor Authentication only generates the passcodes once a challenge (username and password is validated) has been fulfilled. All passcodes are generated in real-time at the point of login. No pre-issued passcodes. No seed files to be hacked. All passcodes are locked to the session-ID of each particular login attempt for maximum security. This reduces the attack surface from being accessible from any device to a single device. The OTP time validation period and delivery form adapts based on the context of the user. Increase security by blocking access from high risk locations or regions. Users receive information about the GEO-IP location of their login to help identify possible man-in-the-middle attacks. CensorNet Multi-Factor Authentication includes advanced brute-force and denial-of-service attack detection and protection. Our passcodes are cryptographically strong random generated OTPs using FIPS-140 validated crypto modules and all communication between components is AES 256bit encrypted. Our platform itself is fully authenticoded and obfuscated. CensorNet Multi-Factor Authentication is very easy to install, deploy and administer. The solution integrates seamlessly with both remote access systems and cloud applications. CensorNet Multi-Factor Authentication allows for one-click integration to Microsoft Active Directory (AD), but also supports any LDAP store without schema changes or extensions. Add new users instantly as your business grows. Through CensorNet Multi-Factor Authentication’s advanced policy engine you have maximum flexibility to easily tailor the solution to your security needs while maintaining convenience for the users. 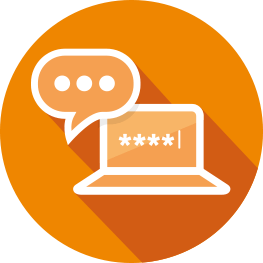 CensorNet Multi-Factor Authentication offers an affordable MFA solution that is highly secure, easy to deploy, manage and use. This keeps costs to a minimum, enhances ROI while boosting productivity.